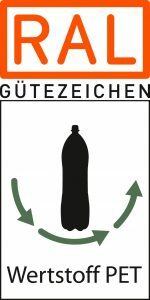 The RAL Quality Assurance Association “Resource Chain of PET Beverage Containers” (Wertstoffkette PET-Getränkeverpackungen e.V. ), founded in 2014, promotes further development of PET beverage bottles from an ecological point of view by awarding the RAL quality mark. The aim is to make a positive contribution to resource efficiency and to environmental and climate protection. The RAL quality assurance association is active across supply chains and sectors. It supports its members in constantly increasing the use of recycled PET in beverage bottles, promoting sustainable action and conserving natural resources such as water and oil. The companies took the initiative in 2014 to ensure a largely closed materials cycle within the framework of current and future quality assurance. The aim is to increase the amount of recycled material in PET beverage bottles while adhering to high quality standards and simultaneously ensuring a high level of consumer protection and optimized interfaces between all stages of the supply chain. With its technical requirements, the quality assurance sets the benchmark for the process stages of the materials chain of PET beverage packaging. In order to carry the uniform RAL quality mark, it is necessary to produce new PET bottles with a minimum of 25 percent recycled PET material. 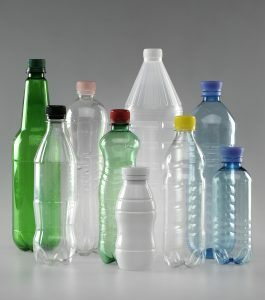 According to the latest GVM study, an average of 26 percent PET recyclate is currently used in German one-way PET bottles. This figure is to be significantly increased. The RAL quality association has set itself the goal of achieving an average recyclate content of 50 percent in the quality-assured products by 2022. The members endeavour to integrate further relevant links along the materials chain into the quality association in order to achieve this goal. Together with the beverage industry and above all the retail trade, the entire PET beverage packaging value chain is to be covered in future. The public’s and consumers’ desire for more sustainability affects all sectors of the beverage industry. Therefore, a voluntary commitment for a sustainable cycle is the right answer. The RAL quality mark labels products and services that companies manufacture or offer according to high, precisely defined quality criteria. The quality assurance association lays down uniform specifications for all members and thus ensures a high level of consumer protection and optimized interfaces between all stages of the supply chain. It involves manufacturers and suppliers, retailers and consumers, testing institutes and authorities. The specifications are written down in the quality and testing regulations. In 1925, the German industry and the government at that time decided to standardize and specify the technical delivery conditions. They defined the quality requirements (quality) for selected products. Thus the idea of quality assurance and certification marks was born. With the “Reichsausschuss für Lieferbedingungen” (Reich Committee on Terms of Delivery) – since then called RAL – economy and politics founded the independent institution, which is still responsible for the recognition of the RAL certification marks. RAL certification marks characterize the quality of goods or services. They thus provide neutral, reliable information that consumers and the industry can rely on. Members of a quality association voluntarily submit to the testing criteria of the RAL quality assurance. The testing is carried out by a recognized testing institute. In total, there are more than 160 quality associations from a wide variety of sectors, ranging from agriculture and construction to services. More than 9,000 German and foreign companies use a RAL certification mark from all economic sectors in the German, European and global market.